Ella is an impressive and versatile vocalist covering a wide variety of material from Jazz, Swing, Motown, Funk, Country and Pop Hits from the 60s to current day. With experience and extensive training is all forms of music she is a highly adaptable act , e.g. Lounge Singer, Jazz Singer, 80s Show, Acoustic, Cabaret, Party. This can be extended through costume, hair and make-up specific to a venue/audience. We booked Ella for our Xmas Party Night at Harvester Colton Mill and she was absolutely fantastic. The droid were being tough not dancing but she worked some magic and got some up to dance. Fantastic entertainer would definitely recommend and will be keeping Ella in mind for our future events! Thank you Ella! A huge THANK YOU to Ella, without her beautiful voice our wedding day would not have been so fantastic. All of our guests absolutley loved her and danced the day away, commenting OMG where did you find her? She is amazing! Everything we asked of Ella was done with style and pazzaz. In fact she reached far beyond our expectations. Thank you Ella, you are, and were truly amazing. 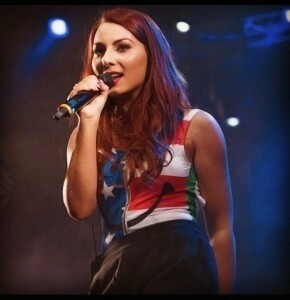 Such a beautiful voice, personality and professional to the end. 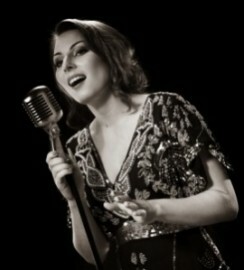 Thanks Ella for entertaining at Furness Golf Club, you know how to put the sparkle into an event. We had a fabulous time celebrating at our Summer Ball & would highly recommend you!